As the sun sets over the water the crowds start to gather on Mindil Beach to watch it dissappear in a blazing display of tropical colours . A great upbeat atmosphere will surround you with the sounds of live performers and the tantalising smells of great market food . 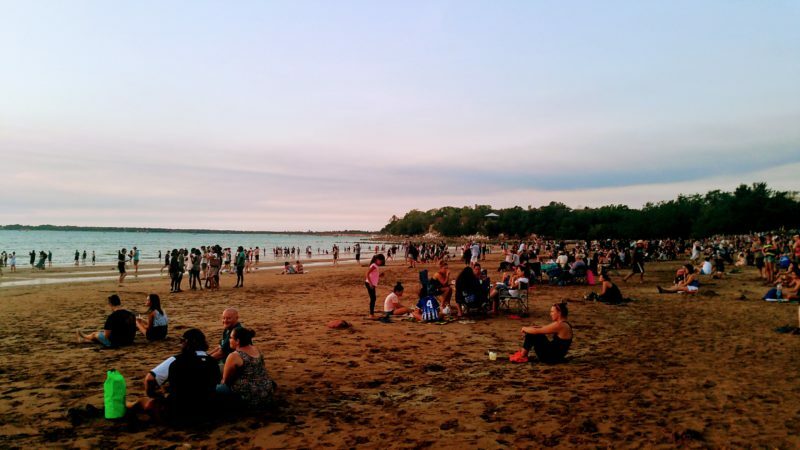 The Mindil markets are a must do when you are in Darwin. Popular with both visitors and locals alike, they run throughout the dry season, (April to October). The Mindil Beach Sunset Markets operate twice a week, Thursdays, 5 – 10pm and Sundays, 4 – 9pm. There are heaps of market stalls with everything from beachwear and handcrafts to jewellery and art. You’re spoiled for choice when it comes to food options. Our pick was a very authentic Laksa, one of the best I’ve had in Australia but it was a tough choice! Next visit I will be hitting the oyster bar. An evening here is not just a picturesque backdrop with great food, you will find yourself swept away with the sights and sounds of the ‘Top End’ way of life. Getting to the market is easy as they are only 2kms from the city centre so you can walk in or catch a bus if you don’t have a car. There is a big car parking area at the site also. 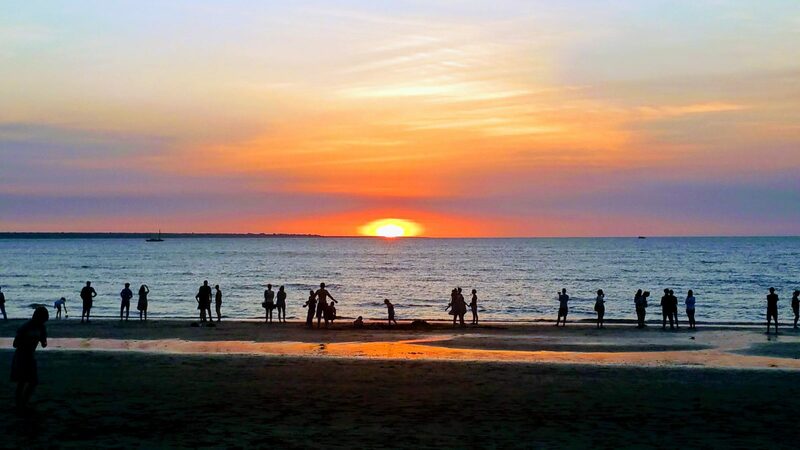 Mindil Beach Sunset Markets was definitely one of the highlights of our time in Darwin.